Area Managers can delegate site-specific duties to Site Supervisors. 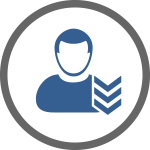 The Site Supervisor Module provides features that can enable Site Supervisors to manage the scheduling, tasks, reports, and performance reviews of Security Guards. The Site Supervisors will be able to concentrate and adapt more to the sites needs. 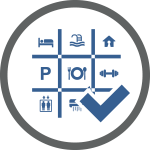 The address profile Units List enables Site Supervisors to organize the list of units within the building by a chronological arrangement and enables the recordkeeping of information, identity of occupants and verifies access to the building. This will allow the Site Supervisors to distinguish the building units and address the list of requests the individual units make. 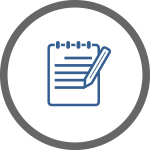 The Occupants List page lists all the occupants and categorizes them as either the owners or the tenants for the owner of the unit. It gives the Site Supervisor the ability to modify the list of occupants and keep it up to date. It also helps to place special instruction for the Security Guards who work in the building like to perform periodic health and welfare checks for the vulnerable occupants upon request. It can also produce communication information to advise the occupants about packages or building issues. The Site Supervisor has access to perform the administrative duties of the Parking Management System. 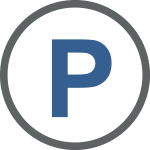 The Site Supervisor has access to features that allow them to adjust the parking permission parameters found within the parking settings function. The parameters settings can adjust the unit visitor parking allowance for time and days. The Parking Management system can organize and record visitor parking activities. The SureCommand Site Supervisor Module organizes the activities of the building's amenities. 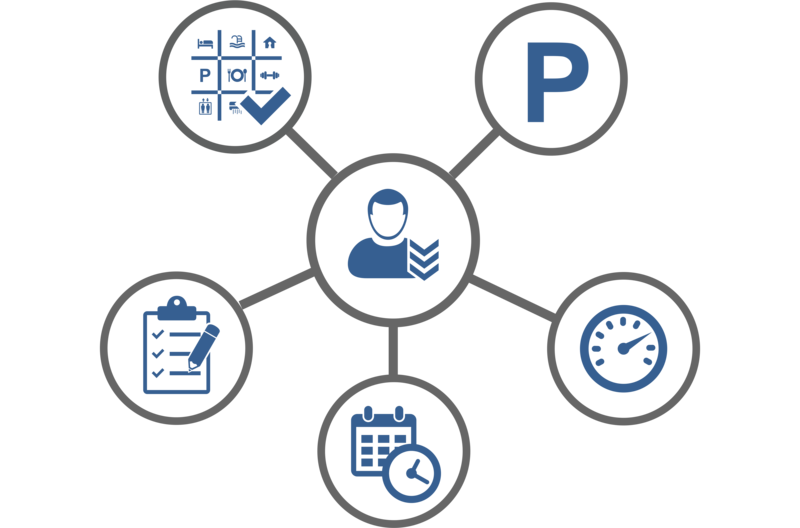 The Site Supervisor module displays the list of amenities and enables Site Supervisors to schedule and record usage and maintenance. The Site Supervisor Facility Management feature offers features that enable the administration of the building's facilities. The Facilities Management features to organizes and arranges the records of all the facilities like electrical rooms, escalators, camera rooms, fire panel rooms, boiler room and more. 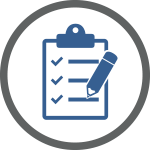 The Facilities Management System can schedule inspections and maintenance for the facility. 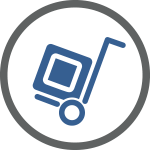 The Mail Management System enables the Site Supervisors to track, organize deliveries, notify the recipients, and record the pickup with a digital signature application. The Mail Management System is designed to secure the distribution of packages and increase the level of convenience for the recipients. It also acts to reduce frauds. In the case that a nonresident uses the mail services for nefarious purposes, the Mail Management system will record the package information and the user can then reject the delivery. The Site Supervisor can create tasks to be performed for the building using the SureCommand system and delegate them to subordinates. The Tasks Management System can record, organize and arrange tasks to optimize the Guards schedule. The Site Supervisors can view all the occurrence and incident reports that Guards have produced for that property. This would allow the Site Supervisor to review all reports and guide the sites Guards towards increasing the accuracy, content and amount of reports they need to complete. The Site Supervisor Module enables Site Supervisors to have access to the sites schedule only. 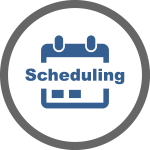 This gives the Site Supervisors the ability to perform scheduling administration that best suits the site and relieves the burden of scheduling from the dispatcher. This can help utilize the resources of the Site Supervisor instead of creating more costs onto the dispatcher operation. 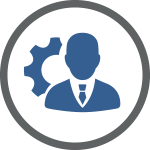 The SureCommand Site Supervisor module offers features to help manage the Guards performance. The system displays performance monitors and can process reprimands to Guards who are not in compliance with the organization's policies.